KILL or HURT SOMEONE with SELFISHNESS. We also read in the Quran that a new earth and new heavens will replace the present heavens and earth. The Quran provides various signs, and states that the means for unveiling the end of the world have been given. This already happened in June 1969 when man landed on the moon and brought back moon rocks. People on earth can go now to many museums, colleges and observatories to look at pieces of the moon. The Quran has predicted that at the right time God will produce a creature that will be instrumental in unveiling God’s signs. This was fulfilled, the creature was the computer which was instrumental in unveiling the Quran’s numerical code, and proclaiming that the world has neglected God’s message. Note that the digits that make up 27:82 add up to 19. Another piece of observation here is connected with the wording of the word “creature” (Dabah in Arabic) within 27:82 in comparison with other verses in the Quran. “A creature from the earth” which denotes that this creature is made of earthly material. As it happened, the computer was the tool to be used in counting all the thousands of figures and multiples of the miracle in the Quran. A consolidating messenger, prophesied in the Quran, comes after all the prophets have delivered the scriptures, to purify and unify. This prophecy was fulfilled in Ramadan 1408. Occurs after God’s Messenger of the Covenant has delivered the unified message and proclaimed Islam (Submission) as the only religion acceptable by God. They re-appear, in accordance with God’s plan, in the year 1700 AH (2271 AD). Gog and Magog are mentioned in 18:94 and 21:96. If you count the verses from 18:94 to the end of Sura 18, you find them 17. 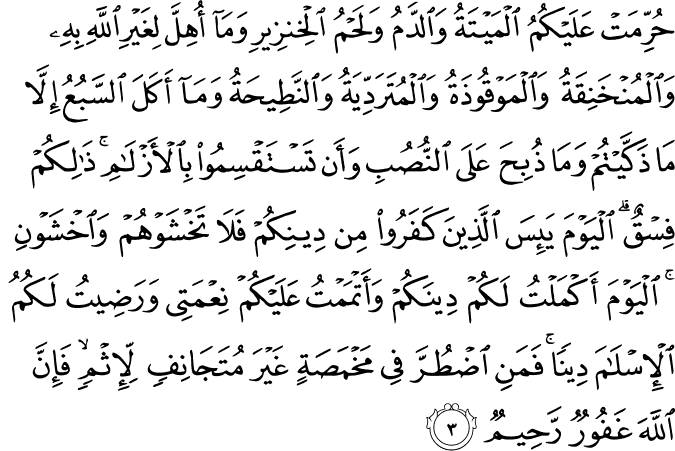 If you count the verses from 21:96 to the end of Sura 21, you find them also 17. This is the Quran’s sign that Gog and Magog will re-appear in 1700 AH. “The Hour (End of the World) is surely coming, I will keep it almost hidden. The next verse, 15-86, tells us that God is the Creator of this world, and, of course, He knows when it will end. The following verse, 15:87, tells us when the world will end. The gematrical values of “The Seven Pairs” of Quranic Initials total 1709. According to 15:87, the world will survive for 1709 lunar years from the time this prophecy is stated in the Quran. This means that the world may end in the year 1710 AH. This number is a multiple of 19 1710 = 19 x 90. The unveiling of this information took place in the year 1400 AH, 309 years before the prophesied end of the world (1709-1400 = 309). The number 309 is a Quranic number (18:25), and is connected with the end of the world (18:21). The peculiar way of writing 309 in 18:25, “Three hundred years, increased by nine”, indicates that the 309 are lunar years. The difference between 300 solar years and 300 lunar years is 9 years. The year of this discovery, 1400 AH, coincided with 1980 AD, and 1980 plus 300 solar years is 2280, also a multiple of 19, (19 x 120). Thus the world may end in 1710 AH, (19 x 90), which coincides with 2280 AD, 19×120. For the disbelievers who do not accept these powerful Quranic proofs, the end of the world will come suddenly (6:31, 44, 47; 7:95, 187; 12:107; 21:40, 22:55; 26:202; 29:53, 39:55, 43:66; and 47:18). 1- We know that between the birth of Jesus and the birth of Muhammad there is 570 years. The numbers 19 and 30 are very significant within the miracle of the Quran. We know that the code of the Quran 19 is mentioned in verse 30 (Sura 74). 2- This number of years between the birth of Jesus and the birth of Muhammad, which is 570, confirms the calculations of the end of the world. 3- The number of years between the birth of Jesus and Muhammad (570) is the same as the number of years between the end of the world in Solar calendar (2280) which is connected to the birth of Jesus, and the end of the world may be, in Islamic Lunar calendar (1710) which is connected to the hijra (immigration to Medina) of Muhammad (and not his birth). M. M. Pickthall We have given thee seven of the oft-repeated (verses) and the great Qur’an. Yusuf Ali (Saudi Rev. 1985) And We have bestowed upon thee the Seven Oft-repeated (verses) and the Grand Qur’an. Yusuf Ali (Orig. 1938) And We have bestowed upon thee the Seven Oft-repeated (verses) and the Grand Qur’an. Dr. Laleh Bakhtiar And, certainly, We gave thee seven often repeated parts of the sublime Quran. Wahiduddin Khan We have given you the seven oft-recited verses and the great Quran. T.B.Irving We have brought you seven Oft-Repeated (verses] plus the Mighty Qur´an. [Al-Muntakhab] And We have given you O Muhammad seven reiterative dual verses of opening in Allah’s Name: in praise, in thanks, in action and in prayer, and the meritorious Quran which is eminently entitled to the designation, the great. [The Monotheist Group] (2011 Edition) And We have given you seven of the pairs and the great Quran. Abdel Haleem We have given you the seven oft-recited versesand the whole glorious Quran. Abdul Majid Daryabadi And assuredly We have vouchsafed unto thee seven of the repetitions and the mighty Qur’an. Ahmed Ali We have indeed given you the seven oft-repeated (examples), and the majestic Qur’an. Aisha Bewley We have given you the Seven Oft-repeated* and the Magnificent Qur´an. Ali Ünal And, indeed We have granted you the Seven Doubly-Repeated (Verses) and, (built on it), the Grand Qur’an. Ali Quli Qara’i Certainly We have given you [the surah of] the seven oft-repeated verses and the great Qur’an. Hamid S. Aziz We have already given you the Seven Oft-Repeated (the verses of the first chapter of the Quran), and the mighty Quran. Muhammad Mahmoud Ghali And indeed We have already brought you seven of the oft-repeated (i.e., the Opening Surah ” Al-Fatihah”, as it includes praise and laudation in seven verses) and the magnificent Qur’an. Muhammad Sarwar (Muhammad), We have given you the seven most repeated (verses) and the great Quran. Muhammad Taqi Usmani We have given you the seven oft-repeated verses and the glorious Qur‘an. Shabbir Ahmed We have given you several examples from history that repeats itself, and We have given you this Sublime Qur’an that defines the Laws of the rise and fall of nations. (39:23). Syed Vickar Ahamed And We have blessed upon you (O Prophet) the Seven often repeated (verses, the Ayat of Sura 1 in Surath Al-Fatiha) and Quran, the Great (Book). Umm Muhammad (Sahih International) And We have certainly given you, [O Muhammad], seven of the often repeated [verses] and the great Qur’an. Farook Malik We have given you the Seven Verses that are worthy of recitation over and over again (Surah Al-Fatiha) and the Glorious Qur’an. Dr. Munir Munshey We have bestowed seven verses upon you, (the Surah Fatiha), worthy of being recited repeatedly, and the Majestic Qur´an! Dr. Mohammad Tahir-ul-Qadri And surely We have bestowed upon you the seven oft-recited Verses (i.e., Chapter al-Fatiha) and the Glorious Qur’an. Dr. Kamal Omar And surely, indeed, We have bestowed upon you Saban min Al-Masani and Al-Quran-al-Azeem. Talal A. Itani (new translation) We have given you seven of the pairs, and the Grand Quran. Bilal Muhammad (2013 Edition) And We have bestowed upon you the seven oft-repeated verses and the great Quran. Maududi We have indeed bestowed on you the seven oft-repeated verses and the Great Qur´an. [The Monotheist Group] (2013 Edition) And We have given you seven of the pairs, and the great Qur’an. Yusuf Ali And We have bestowed upon thee the Seven Oft-repeated (verses) and the Grand Qur’an. Pickthal We have given thee seven of the oft-repeated (verses) and the great Qur’an. Malik We have given you the Seven Verses that are worthy of recitation over and over again (Surah Al-Fatiha) and the Glorious Qur’an. QXP We have given you several examples from history that repeats itself, and We have given you this Sublime Qur’an that defines the Laws of the rise and fall of nations. (39:23). Name This Surah takes its name from v. 80. It is clear from its topics and style that the period of its revelation is about the same as that of Surah Ibrahim, for two things are quite prominent in its background. First, it appears from the repeated warnings in thisSurah that in spite of the fact that the Holy Prophet had been propagating the Message for many years, his people in general had not shown any inclination towards its acceptance; nay, they had become more and more obdurate and stubborn in their antagonism, enmity and ridicule with the passage of time. Secondly, by that time the Holy Prophet had begun to feel a little tired of making strenuous efforts to eradicate disbelief and opposition of his people. That is why Allah has consoled and comforted him over and over again by way of encouragement. Transliteration Wa laqad a_taina_ka sab’am minal masa_ni wal qur’a_nal ‘azim(a). Islam as a Noahide Faith? 17:33 Nor take life – which Allah has made sacred – except for just cause. And if anyone is slain wrongfully, we have given his heir authority (to demand qisas or to forgive): but let him not exceed bounds in the matter of taking life; for he is helped (by the Law). Concerning the term “Muslim” which means “submission”, it should be noted that in the Torah, everywhere the word “Kenite” used, it is translated to Aramaic as Salamai or Muslamai. Some suggest this refers to the great numbers of non-Jewish believers who came to sacrifice the Qurban Shlamim in Jerusalem together with the Jews. Salamai, Musalamai, Muslims. This could be a clear indication in our literature that Islam is an ancient religion, dating back to second temple times, at least. And if Islam’s roots are the same as what we call Bnei Noah, then it is much older, it is the religion of Noah, and Adam himself. And We have not created the heavens and earth and that between them except in truth. And indeed, the Hour is coming; so forgive with gracious forgiveness. so that every soul may be recompensed according to that for which it strives. [saying] that the people were, of Our verses, not certain [in faith]. and He has encompassed whatever is with them and has enumerated all things in number. And We have not made the keepers of the Fire except angels. And We have not made their number except as a trial for those who disbelieve – that those who were given the Scripture will be convinced and those who have believed will increase in faith and those who were given the Scripture and the believers will not doubt and that those in whose hearts is hypocrisy and the disbelievers will say, “What does Allah intend by this as an example?” Thus does Allah leave astray whom He wills and guides whom He wills. And none knows the soldiers of your Lord except Him. And mention of the Fire is not but a reminder to humanity. How is the world going to end according to Islam al-Quran? The signs of the final hour can be divided into two groups. Minor signs are events of normal nature prophesised by our Prophet Muhammed to take place before Qiyamah like the consumption of alcohol, lifting of knowledge and prevalence of ignorance and immorality and signs of this nature. The majority of the minor signs have appeared while some are occurring and some will appear with major signs. 4) He will have a shiny forehead and a high bridge nose. Abu Saeed reported that the Prophet said, “The Mahdi will appear from me, shining of forehead, long of nose.” (Abu Daud). Only some of the signs that will precede Imaam Mahdi and of the Mahdi himself have been gathered in this book. The true Mahdi, the one referred to in the Ahadith of Prophet as one of the signs of Qiyamah, is the one in whom the pre-mentioned signs are found. Conquering Constantinople with Takbir, the Muslims will begin to take the booty. While they are distributing the war posses- sions a proclaimer will proclaim that the Dajjal has appeared and causing fitna in your homes. On hearing this cry the Muslims will leave the booty and head towards Syria1. It will come to their knowledge that this was a false rumour. However after reaching Syria the Dajjal will truly emerge. He will come out from a road between Syria and Iraq2 and his emergence will become known in Isfahan3 at a place called Yahoodah. Riding a white ass4, the two ears of which will be forty hands apart, 70,000 Jew’s of Isfahan will follow him with hoods on their heads. Also accompanied by Devils6 and Jewish magicians7 he will first claim Prophethood8 and then God hood. Travelling as fast as those clouds which are driven by the winds he will travel to east and west entering every country, carrying out murders, pillage, devastation and performing unusual feats wherever he goes9. The Dajjal will remain on earth for 40 days, the first of which will be a year long, second a month , the third a week, and the remaining 37 days like our normal days, moving from city to another causing fitna1. Finally he will proceed towards Makkah and Madina2 but he will be unable to enter these holy cities, Masjid Tur and Masjid al-Aqsa3. Every time he tries to enter these holy places, angels guarding these holy cities with swords in their hand will encounter him and chase him away, leaving Dajjal stationed behind Uhud4. Meanwhile, earthquakes will hit Madinah thrice and all the hypocrites will be forced to leave5. The emergence of the mighty tribes of Ya’juj and Ma’juj is also a major sign of Qiyamah. three soor will be blown , the time between two soor will be 40 years each. .And finally earth will be destroyed and all the humans will be resurrected for the final judgment with Allah. What are they awaiting but for the Hour to come upon them suddenly? This is Allah’s pattern with those who passed away before. We will leave you the land to live in after them. We destroyed generations before you when they did wrong. Their messengers brought them the Clear Signs, but they were never going to believe. Moses said to his people, “Seek help in Allah and be steadfast. The earth belongs to Allah. he was granted entry into jannah on Friday. and good by Allah that he prays for its an hour in ‘Asr to Maghrib . The Day of Qiyamah-Resurrection will be on a Friday. and Surah Baraqah is the Sayyid of the Quran. In certain aspects the rank of the night of jumu’ah is even higher than Laylatul Qadr. Rasulullah sallallahu alayhi wa sallam appeared in the womb of his mother. shocked scientists have warned today.